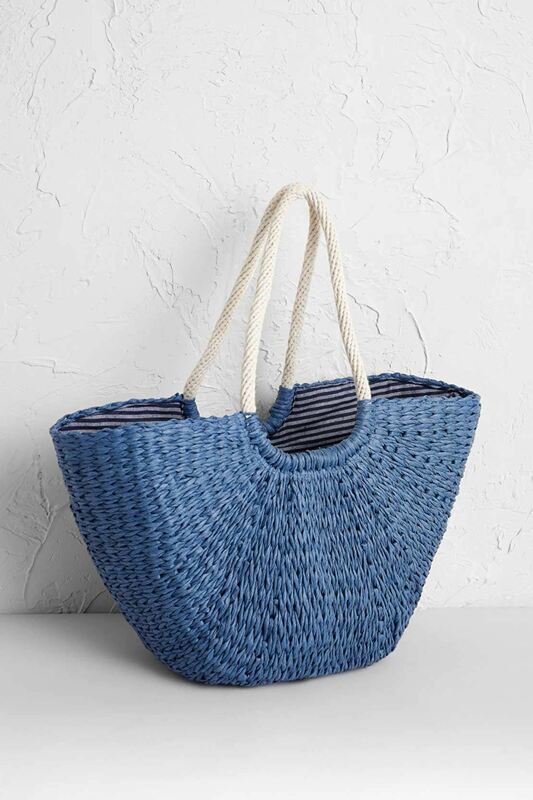 Made from 100% paper and lined in cotton with signature Seasalt yarn-dyed stripes, Seasalt Texture Basket is a light, flexible alternative to traditional baskets. Made from 100% paper and lined in cotton with signature Seasalt yarn-dyed stripes, Seasalt Texture Basket is a light, flexible alternative to traditional baskets. It has a handy internal slip pocket and is roomy enough for grocery shopping. A great, reusable alternative to plastic shopping bags.